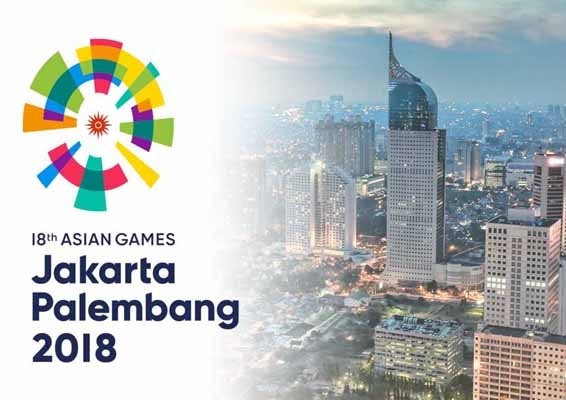 The 18th edition of the Asian Games officially kicks off in Jakarta, Indonesian. Around 11,000 athletes (from 45 countries) is participating in 40 sports and 67 disciplines consisting of 28 Olympic sports, 4 new Olympic sports, and 8 non-Olympic sports. Renowned Indonesian singers like Anggun, Raisa and Tulus and a total of 4,000 dancers has performed at the ceremony. For the first time, eSports (a form of competition using video games) and canoe polo will be contested as demonstration sports. Javelin Thrower Neeraj Chopra is India's flag-bearer at the opening ceremony. Over 570 Indian athletes will be vying for top honours across 36 sports in Jakarta as well as in Palembang. The three mascots of the Games include - Bhin Bhin, Atung and Kaka, represent three aspects of the competitive games- Strategy, Speed and Strength. Prime Minister of Mauritius Praveen Kumar Jagannath has inaugurated the 11th World Hindi Conference (three-days) at ‘Swami Vivekanand International Convention Centre’, Pailles, Mauritius. The main theme of the Conference is ‘Hindi Vishwa Aur Bharatiy Sanskriti’. The first World Hindi Conference was held in 1975 in Nagpur, India. The main objective of the World Hindi Conference is to make the Hindi language a medium of service and knowledge and enable it to move forward with the time. In 25th July 2018, The PTI had emerged as the single largest party with 116 seats in elections. The party has 158 members in the National Assembly after the Election Commission of Pakistan (ECP) issued notifications of the successful candidates on the seats reserved for women and the minority community on August 11th. Mr Khan was educated at Aitchison College in Lahore, then the Royal Grammar School Worcester in Worcester, England, and later at Keble College, Oxford. In April 1996, Khan founded the Pakistan Tehreek-e-Insaf and became the party's national leader. Recently he led the nitrogen side event at the 2018 meeting of the UN Convention on the Law of the Sea. The International Nitrogen Initiative (INI) has been set up in 2003 under the sponsorship of the Scientific Committee on Problems of the Environment (SCOPE) and from the International Geosphere-Biosphere Program (IGBP). IAS officer K S Srinivas has taken over as Chairman of Marine Products Export Development Authority (MPEDA). Prior to this appointment, he had served as Joint Secretary in Department of Agriculture Cooperation and Farmers’ Welfare in Ministry of Agriculture. Keita picked up 67.17% of the vote against 32.83% for opposition challenger and former finance minister Soumaila Cisse. Oscar-winning director Ang Lee (63-year) will be one of the recipients of the annual Directors Guild of America (DGA) honours at its ceremony. The event will be held at the DGA Theatre in New York City on October 18. Fox Searchlight chairman Nancy Utley, US Senator Amy Klobuchar, SAG-AFTRA senior adviser John McGuire and costume designer Ann Roth will also be honoured at the ceremony. According to the Rajasthan Chief Minister Vasundhara Raje, the state will observe September as the “month of nutrition” to create awareness among people living in the state. From September, the students of the state will get milk on daily basis, for which additional funds of Rs 203 crore has been allocated. The Pakistan Cricket Board (PCB) has handed a 10-year ban to Nasir Jamshed. He was banned for the second time in the last two years. Cyclist Esow Alben (17-years) has won India's first ever medal (silver medal) at the UCI Junior Track Cycling World Championships in Aigle, Switzerland. Alben hails from Andaman and Nicobar, trains in Delhi at the Sports Authority of India's National Cycling Academy.